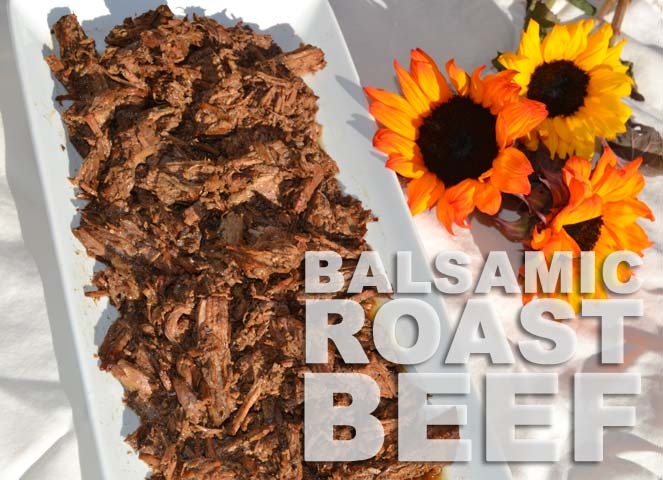 Balsamic Roast Beef [in the crock pot] | how 'bout some cake? Here it is: my set-it-and-forget it recipe for fall. Why do I love it? Well, it’s healthy, I had most of the ingredients on hand, it’s incredibly easy and – oh yeah – totally delicious. This is not your typical “two cans of condensed soup, side order of a heart attack” crockpot recipe. Oh no. It’s so, so much better than that. To start, I trimmed the fat from my roast. This is not necessary- it would probably be tastier if I’d left it in because, as my old boss (restaurant manager) used to say, “fat is flavor”. But I thought this had plenty of flavor without it. 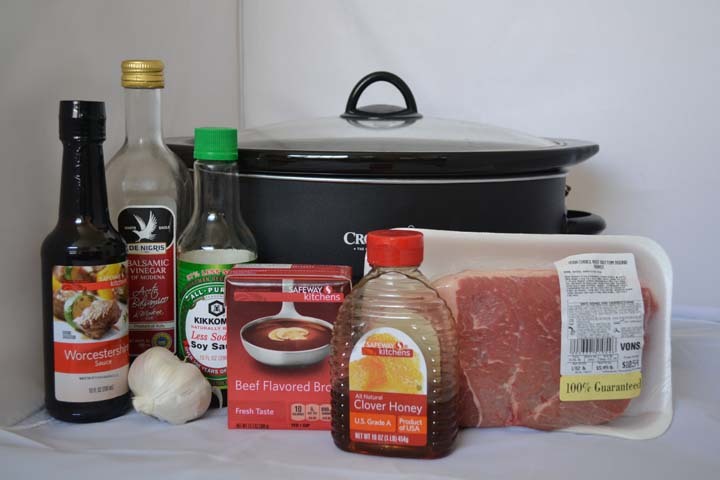 Set your slow cooker on high for 4-5 hours or low for 6-8, depending on your schedule for the day. Then try to forget about it, which is easier said than done because it smells divine! 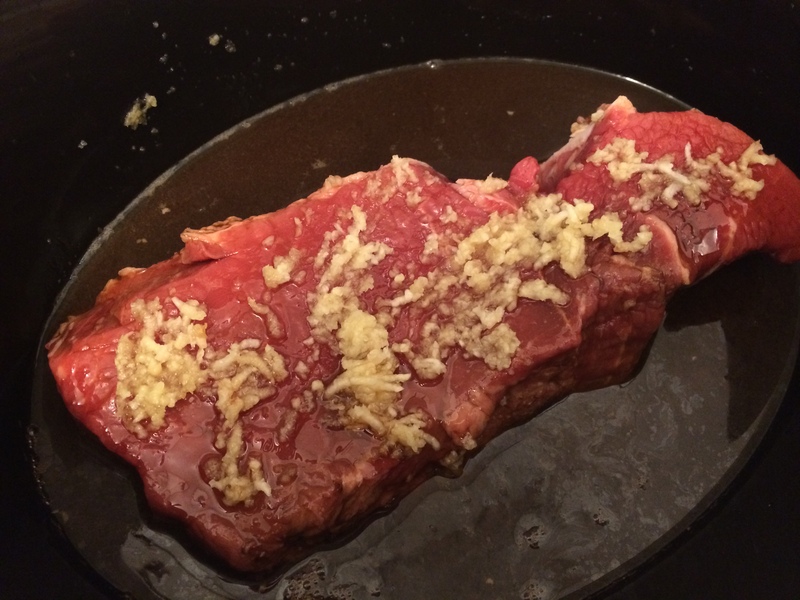 One word of warning: don’t skimp on time- I checked mine after 3.5 hours and it was cooked but tough as an old shoe. I was sure I’d ruined the recipe but an hour later it had softened right up. 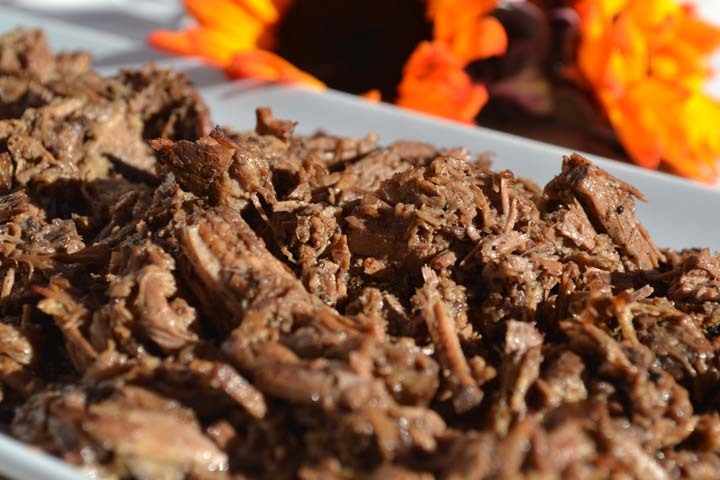 When the meat it tender, pull it out of the crock pot and use two forks to shred the meat. It will pull apart easily. Spoon some of the remaining liquid over top (about 1/3 cup) for extra savory goodness. The result is sweet and tangy, rich and savory comfort food you can feel good about. Meat this good deserves a close-up. Best of all, it’ makes some damn good left-overs! CLICK HERE (then scroll to the bottom) to leave me a comment! 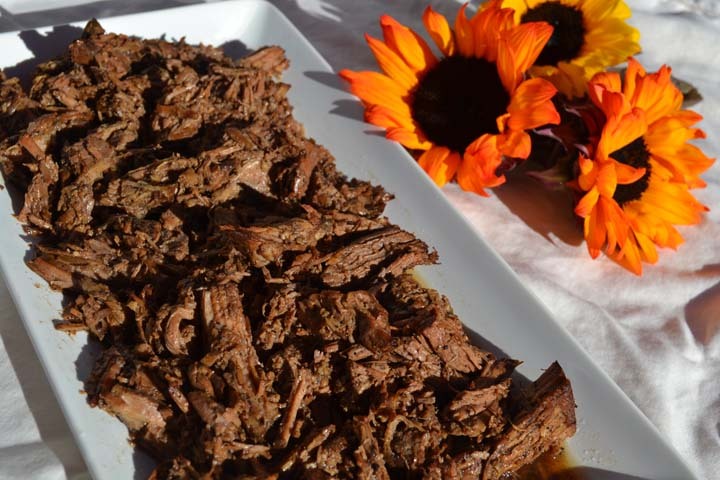 This entry was posted in Healthy meals & snacks and tagged balsamic roast beef, crockpot recipe, dinner recipe, easy healthy dinners, healthy crockpot recipe, healthy dinners, healthy slow cooker recipe, roast beef slow cooker, slow cooker recipe. Bookmark the permalink.